Compare fuel card retailers BP, Caltex and Shell on factors including fees & charges, fuel discounts, invoicing, number of petrol stations available, customer service, account management and overall business customer satisfaction in 2018. Canstar Blue research finalised in May 2018, published in May 2018. 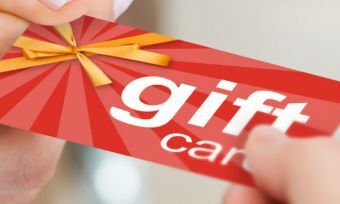 In a closely contested market, Shell has come out on top of Canstar Blue’s customer satisfaction ratings for business fuel cards in 2018. Shell was rated five stars across all research categories. Regardless of what vehicle we drive, how often we drive, or where we drive, we always keep an eye out for cheap fuel, with fluctuating prices enough to cause some road rage! While it may be a big household expense, fuel can also be a significant drain on many small to medium-sized businesses, especially those that rely on a mobile workforce to operate. 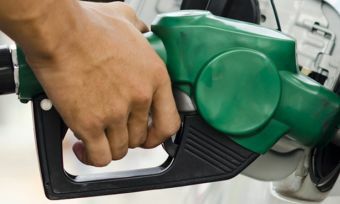 So anything your business can do to drive down costs will be worth considering, including joining a fuel card program. In Canstar Blue’s latest survey of small and medium-sized businesses in Australia (SMEs), 82% of fuel card users said they closely monitor their usage and the cost of fuel, with 73% also admitting that the price of fuel is a major concern. 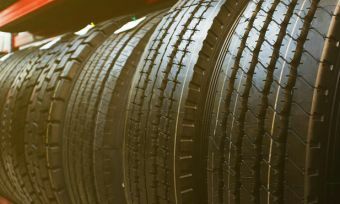 It therefore seems there is huge demand for a fuel program that genuinely offers good value in addition to other supporting services that make the process of buying fuel and managing fuel accounts a little easier. 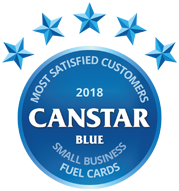 That’s why Canstar Blue produces an annual review of fuel cards to find out which are helping SMEs to better-manage their day-to-day expenses, while hopefully saving them money along the road. Offered by a variety of petrol station retailers and chains, fuel card programs could help you save every time you fill up the car or truck, while also offering extra bonuses like Frequent Flyer points, or discounts on in-store food and drinks. With surveyed businesses spending an average of close to $1,000 a month on fuel, every discount and saving can help, especially when you’re operating a fleet of vehicles. Shell has knocked two-time winner BP off top spot, with businesses rating Shell five stars across all research categories, including fuel discounts, fees & charges and overall satisfaction. Caltex was rated four stars for overall satisfaction, with the same score across all other research categories. BP was rated three stars for overall satisfaction this year, as well as all other research categories. Fuel cards can vary significantly between retailers – not just in terms of the price discounts they provide, but also in regards to the added perks they may or not bring, plus the tools they offer to help you get to grips with your spending. To help you decide which program may be the best fit for your business, here is a guide to the three major fuel cards from Shell, Caltex and BP, plus some other standout retailers. Available for use at more than 1,250 locations Australia-wide – including 150+ truck-friendly sites – Shell offers plenty of options for businesses looking to fill up on a regular basis. Some of Shell’s biggest fuel card advantages come from the business side, as the online function allows for streamlined administration and budgeting, helping businesses to keep on top of their fuel expenses. Additionally, records can be accessed online, with Shell allowing the records to be extracted to help you when tax time comes around. Another handy feature for business owners is the personalisation, as Shell fuel cards can be restricted to only allow for certain types of transactions, including fuel types, meaning there shouldn’t be any surprises when you open the bill. In addition to fuel savings, Shell card-holders can earn flybuys points at Shell Coles Express service stations. The Shell fuel card is also said to come with advanced security and fraud protection. In the event of loss or theft, businesses can cancel or suspend cards, and you can set up alerts to email you about unusual transactions or activity. 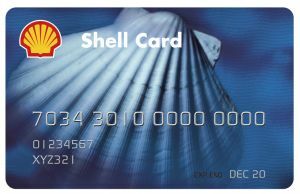 Applying for the Shell card has been made easy, with an application form available on its website. Simply fill in the details, including the business ABN, and you’ll be able to start saving in no time. The Shell card is available for all business types, including private and public companies, as well as smaller businesses, sole traders and trusts. Caltex’s fuel card – known as the StarCard – can be used at more than 1,900 locations around Australia, handy for businesses operating right across the country. With the StarCard, businesses can expect to save 4c per litre on Vortex Premium fuels, as well as 2c per litre on regular diesel and petrol, in addition to 10% off packaged engine oils and 5% off various selected items in participating stores. The StarCard will cost you $2.95 a month per card, but may be well worth it for businesses constantly on the go. Businesses can add extras to their StarCard to receive discounts on other expenses, such as car servicing and repairs, and roadside assistance and tolls. While the extras come at an additional cost per card and per vehicle, the benefits and peace of mind could offset the extra expense. The StarCard can also help you rack up Qantas Frequent Flyer points, as well as help you skip the Qantas Business Rewards Program joining fee, which usually costs $89.50. For those worried about the administration side of it, records and transactions are all kept online in your account, making those details easy to track. Additionally, fuel records can be linked to Xero accounting software, allowing a more streamlined process for budgeting. Similar to Shell, Caltex also offers an EOFY statement to help with claims and taxes. It may have slipped from top spot in our review this year, but BP could still be a viable option for many businesses, with more than 1,400 service stations around Australia. BP’s fuel card, BP Plus, can be used at all of these locations, while also providing discounts at BP’s Wild Bean Cafes and carwash facilities, as well as food and drink in BP stations. On top of the initial savings, BP also offers customers a mobile app, available for both Android and iOS, called BPme. The app allows business owners to keep a close eye on their spending, as the app allows the administrator to accept or decline purchases made with the card, ensuring that business money is being used correctly. BP’s online services allow businesses to keep a close eye on their fuel cards, as well collect invoices and receipts for the annual tax-time rush. Applications for a BP Plus card can be conducted online, making the process easy for busy businesses. 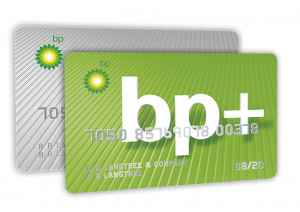 Businesses also receive discounts with their BP Plus card through other participating brands such as Beaurepaires, Bridgestone and Tyrepower. 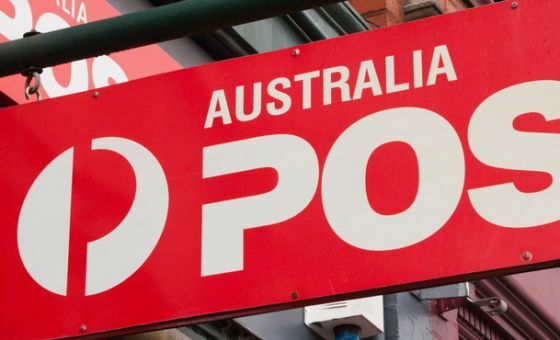 While BP, Caltex and Shell have most Australians covered when it comes to topping up on petrol, there are a number of smaller service station chains that may also offer businesses a good deal. The only place where you can grab a Slurpee while filling up your car, 7-Eleven has become increasingly popular in recent years, with the convenience store a handy option for many. 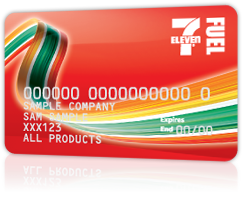 With no joining fee, the 7-Eleven Fuel Card does, however, charge a small fee every time you use it, with cards categorised into three separate uses. For those who only want to top up at the bowser, the ‘Fuel Only’ group will be suited to you, whereas those likely to change their oil, or make use of the car wash, may be better suited to the ‘Fuel & Vehicle’ group. 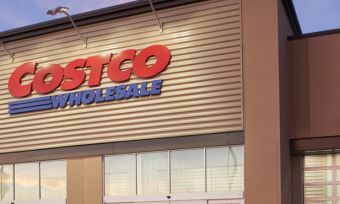 But if you’re one of those who can’t pass up on a few snacks or a coffee while in store, the ‘All’ option gives you discounts on both fuel and in-store purchases. Applications can be made online, with your card reportedly shipped out in less than five business days. 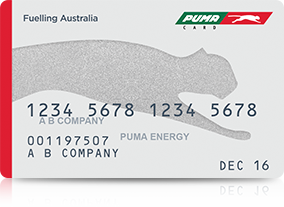 With about 400 locations around Australia, Puma is also a viable option, offering two types of fuel cards for businesses to consider. The ‘Pumacard Direct’ is a better option for those who exclusively use Puma service stations – coming with no transaction fees – whereas the ‘Pumacard’ is widely accepted at other servos, allowing more options when you’re running on empty. The Pumacard can also be used for discounts on a variety of travel options, including accommodation and parking, as well as repairs, maintenance and at tyre and auto retailers, allowing businesses to keep their fleet running while saving on costs. A Puma app is also available, allowing businesses to check and top up card balances, as well as view transaction history. Accepted at more than 90% of service stations around Australia (or over 6,000 locations), the WEX Motorpass is a handy card to have in your wallet. Offering a range of online services, the WEX Motorpass may be well suited to many businesses on the go. When it comes to what’s covered, WEX offers a few options. There’s the ‘Fuel & Oil only’ option, the ‘All Vehicle Expenses’ options for those after oil and other services, as well as ‘All Products’, which will cover plenty of goodies for drivers and businesses. For those not sure if their local service station supports Motorpass, WEX offers an online service which will search nearby stations for you, helping to take the stress out of the situation. Additionally, WEX also has a mobile app to ensure you’re not left stranded. Which fuel card should I use for my business? Which fuel card you decide to link to your business will depend of a variety of factors, including where your business is located, its proximity to petrol stations, and how often you’ll be filling up at the pump. For those after a simple fuel card to save where you can, you will be spoilt for choice, but if you’re after a more complete service including lots of online reporting tools, one of the big programs from BP, Caltex or Shell will likely be the best for you. For many businesses, these fuel managing and reporting tools can make a huge difference. Ultimately it will depend on your business type and your personal preferences, but a fuel card is a viable option for many businesses looking to save a few dollars. Seven out of ten (72%) businesses believe that using fuel cards works out cheaper than just paying for fuel outright every type, our survey found, while 62% make use of the extra perks and features. But like with any other product or service, it’s worth shopping around and exploring your options. And even if you do settle on the right program for your needs, it doesn’t hurt to keep one eye on other fuel programs and make the switch if and when it suits. Canstar Blue commissioned Colmar Brunton to survey 818 Australian small business owners or decision makers (i.e. the main decision maker for the small business) across a range of categories to measure and track customer satisfaction. The outcomes reported are the results from customers within the survey group who have purchased and/or used a fuel card for business purposes in the last 12 months – in this case, 286 people.